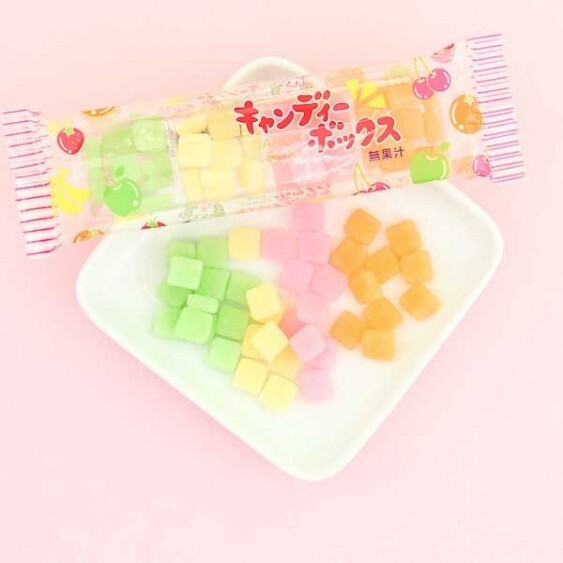 The colorful and charming packaging on this fruity candy set from the Japanese manufacturer Kyoshin is just irresistible! The candies have a soft texture - similar to Mochi rice cakes - so if you are Mochi lover, this one is a must-try for you! The sweet fruity flavors are so good they make your mouth water! 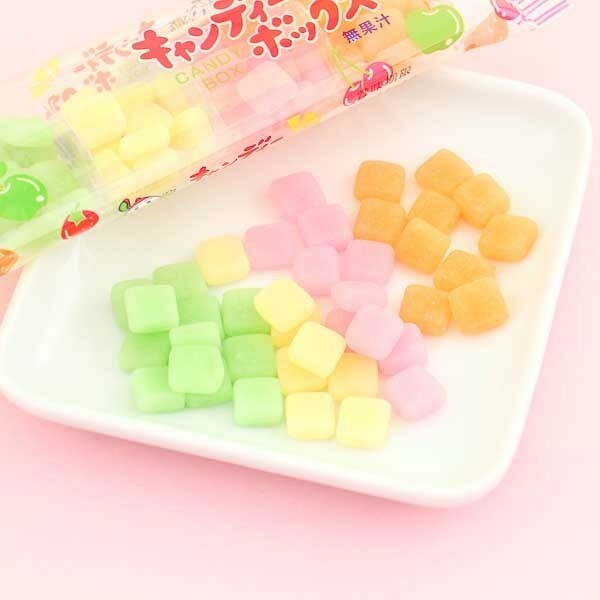 Each package comes with a toothpick that you can use to pick these mini Mochi treats up and to eat them one by one. So cute and so yummy at the same time!